Machine wash your sweater in hot water for quick results. A sweater constructed of a silk and cotton blend retains some qualities of both materials; the softness of silk with the durability of cotton. As a hybrid fabric, your silk cotton blend sweater can be shrunk with common cotton-shrinking techniques. Care should be taken, however, to avoid damaging the silk. Read the clothing care label attached to your sweater. Verify that the garment is machine washable and that it is not pre-shrunk. 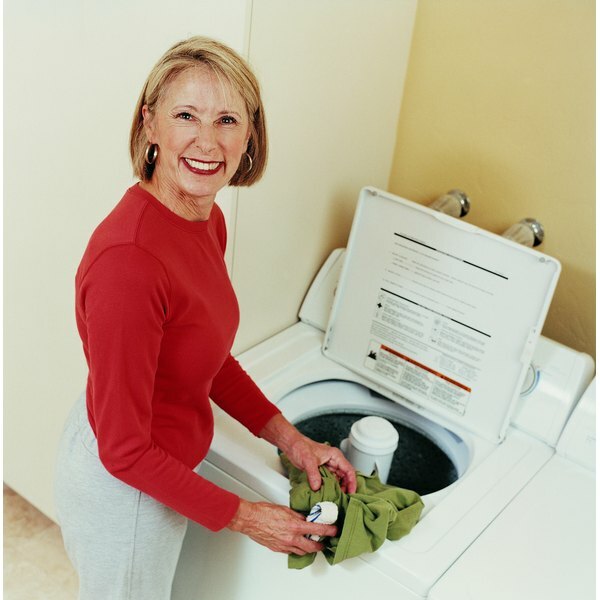 Wash the sweater in hot water on the delicate cycle with a mild detergent. Do not use detergents with enzymes or brighteners as they can damage the silk in your sweater. Remove the sweater from the washing machine and verify that is has shrunk to the desired size. Water will draw loosely woven silk threads closer together and shrink cotton. If your sweater requires further shrinkage, place it in the dryer on a high setting. If your sweater is the desirable size, dry on a medium setting or allow to air dry. A pre-shrunken sweater will not become smaller when washed in hot water. Machine washing silk can cause your garment to lose some sheen.